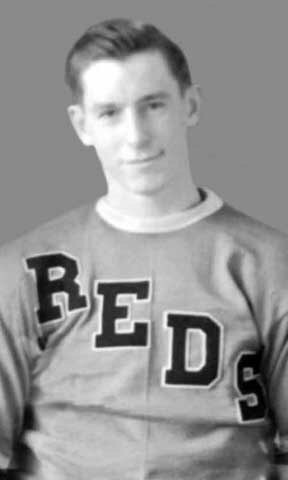 Harry Sinden was inducted into the “Builder” category of the NHL Hockey Hall of Fame in 1983. He was also an inductee into the Massachusetts Hockey Hall of Fame in 2005. He skated in just a single game with Providence in 1963. As an outstanding amateur, he captained his Canadian team to the Word Championships in Oslo, Norway, in 1958. He later skated for Canada at the 1960 Winter Olympics in Squaw Valley, CA. Sinden never reached the NHL but his vast international experience as a player was the basis for his coaching career. He is very highly regarded for how well he coached and managed at the NHL level. He piloted the Boston Bruins for six seasons, including a Stanley Cup title in 1969. He would later serve as the B’s general manager, holding on to that position from 1972 through 2001. For the inaugural Summit Series against the Soviets in 1972, Sinden accepted the job of coaching Team Canada. When his collection of 30 NHL stars fell behind 3 games to 1 in the best of seven, he took great criticism for their poor showing. He redeemed himself and all of Canada when they came back and won the deciding game in Moscow. He was also an inaugural inductee of the IIHF Hockey Hall of Fame (1997).